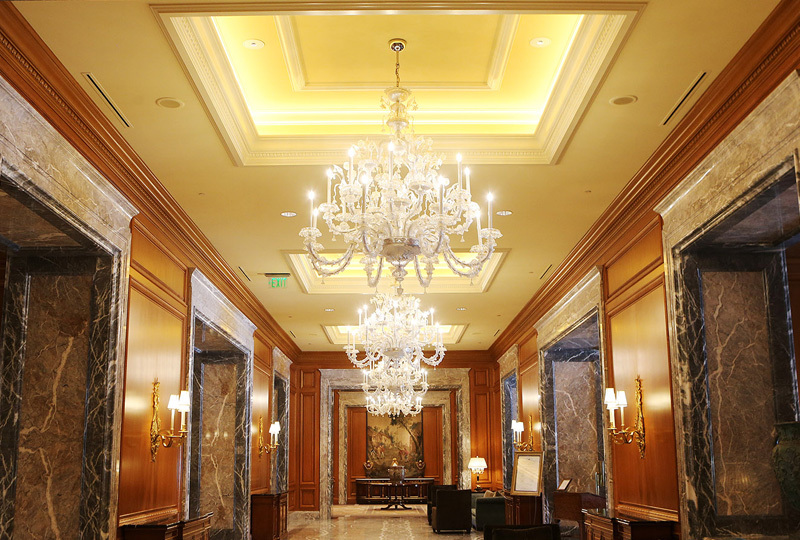 “Our engineering team replaced more than 24,000 light bulbs throughout the hotel - 3,830 bulbs in The Grand’s signature chandeliers, including The Grand Ballroom’s six 12’ bronze and crystal Moscatelli chandeliers." Clayton Roop, Grand America Hotels & Resorts’ Director of Engineering. 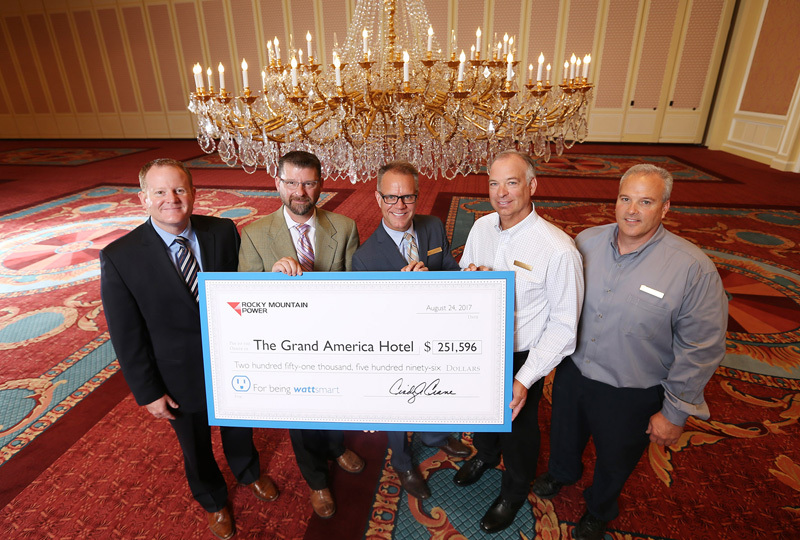 The Grand America Hotel is saving 2.6 million kilowatt-hours of energy a year, thanks to a recently-completed lighting project. The six Grand Moscatelli Chandeliers in The Grand America’s Grand Ballroom are 12’ in diameter and at the time of the hotel’s opening in 2001 were the largest bronze and crystal chandeliers ever made. The bulbs in these chandeliers, as well as 24,000 light bulbs throughout the hotel, were updated with LED lighting and are an excellent example of old-world elegance shining with modern technology. Since LED lamps are long-lasting, this upgrade not only saves on energy costs but maintenance as well. “When businesses move toward being more energy efficient it helps them stand out as a company and shows they are taking an active role in doing their part to save energy while being mindful of the environment." Bill Comeau, Rocky Mountain Power customer solutions director.